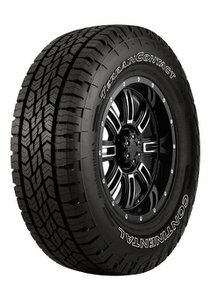 The Continental Terrain Contact A/T is he ideal all terrain tire for CUV, SUV and light trucks with the durablity to conquer dirt, while also being comfortable ride on the pavement. This tire strikes the perfect balance between off road traction and on road manners. XSipe technology improves tread life, braking, cornering and accleration in any weather conditions. The ideal all terrain tire for CUV, SUV and light trucks with the durablity to conquer dirt, while also being comfortable ride on the pavement. This tire strikes the perfect balance between off road traction and on road manners. Full depth sipes aid in snow and ice traction while providing the comfort and traction needed in wet and dry conditions the rest of the year. 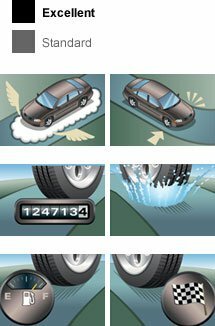 XSipe technology improves tread life, braking, cornering and accleration in any weather conditions.